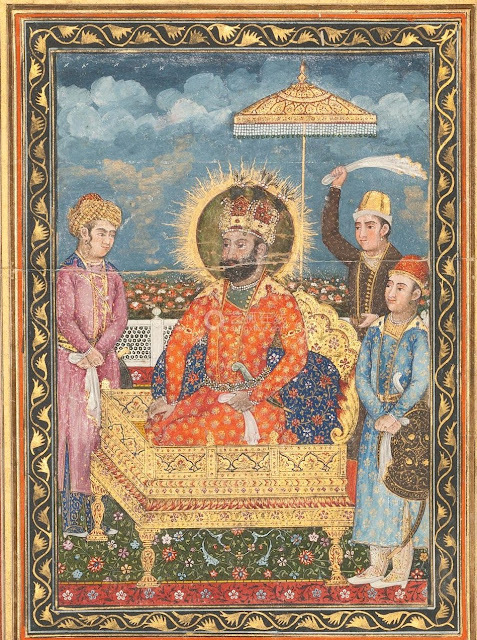 Zaman Shah Durrani enthroned, his two princes attend left and right, circa 1795. A third young attendant waves a white silk fabric as symbol of royal authority. 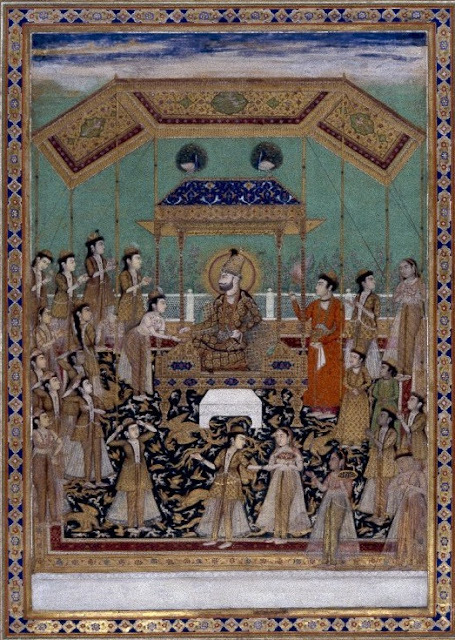 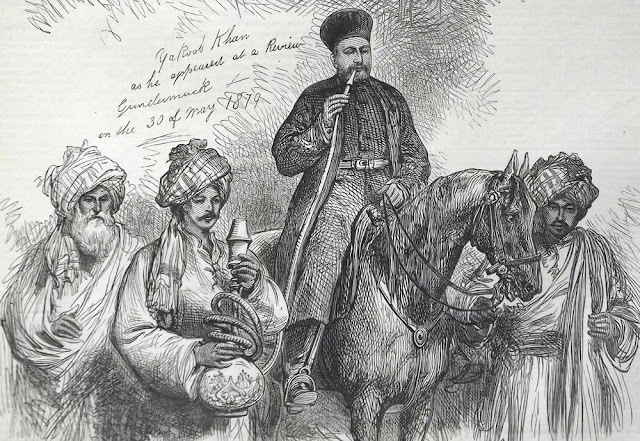 Zaman Shah Durrani in Durbar, surrounded by attendants, 1799. British Museum.